Originally published in the WHO Goodwill Ambassador’s Newsletter for the Elimination of Leprosy, Issue No. 60 (February 2013). The information was correct and current at the time of publication. How the Pacific Leprosy Foundation helped give Issac freedom of movement. A smiling Issac sits atop his mobility scooter in Vanuatu. The Pacific Leprosy Foundation is a not-for-profit foundation that has been working in the Pacific with people affected by leprosy for over 80 years. It is based in Christchurch, New Zealand, and has programs in Kiribati, Samoa, the Solomon Islands, Fiji, Vanuatu and Tonga. The foundation works in two main ways – first, alongside each country’s health ministry, providing assistance in monetary and technical terms for the provision of a sustainable leprosy program; and second, in providing assistance to people disabled by leprosy, who tend to be a low priority for governments with limited resources. The assistance to people disabled by leprosy is tailored to meet the needs of each individual and family and may include a living allowance, income-producing initiatives, housing, and education for their children. The foundation assists hundreds of families throughout the Pacific in this way and relies entirely on public donations to carry out this work. Isaac lives on Vanuatu. He has suffered from both leprosy and polio. He is unable to walk and could only get around by shuffling on his bottom until a hand-pedalled wheel chair was invented for him. The foundation assisted his three children through school and they have all established successful careers; two work in the travel industry and one is now training to be a physiotherapist. Isaac makes beautiful carved jewellery, which he sells in the market. His wife, Verongi, had to go everywhere with Isaac to help him up the many hills and over the rough ground he encountered on his way to and from the market. We wanted to find a way to make Isaac more mobile. 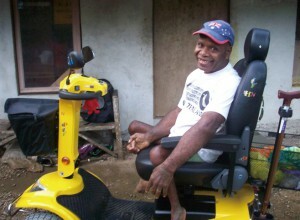 With limited equipment available locally, it was decided to ship a sturdy mobility scooter from New Zealand to his home in Santo, Vanuatu. Many people helped along the way, providing the scooter at a discount and offering reduced rates for shipping and insurance. I was visiting Vanuatu soon after the scooter was delivered and met with Isaac, his family and friends to celebrate its arrival. What struck me forcibly was that for the first time in his life Isaac had freedom. He could come and go as he pleased and not be reliant on anyone else to assist him. The look on his face as he explained this was one of pure joy. He asked me to pass on his sincere thanks to all the people in New Zealand who donate to the Foundation for the freedom this had given him. 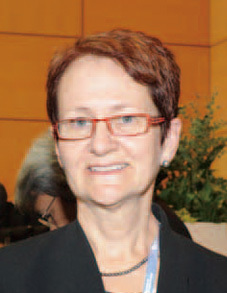 Jill Tomlinson is general manager of the Pacific Leprosy Foundation. While A New Atlas of Leprosy is not new – it was first published in 2000 and the original Atlas in 1981 – it remains a very useful tool in the fight against leprosy. 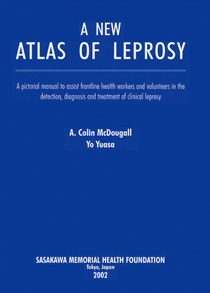 Compiled by the late Dr. A. Colin McDougall and Dr. Yo Yuasa, it is a pictorial manual to assist frontline health workers and volunteers in the detection, diagnosis and treatment of clinical leprosy. The New Atlas, which features photographs of leprosy in different clinical settings, can now be downloaded in both high- and low-resolution formats from the Sasakawa Memorial Health Foundation website. It is available in seven languages: English, Bahasa Indonesia, Spanish, French, Hindi, Nepali and Portuguese.